T hank you and congratulations to our President & CEO, Mack Koonce, who has announced that he will be retiring on June 30th. Mack has been a change agent whose vision and deep commitment to this community have made United Way of the Greater Triangle more strategic, more innovative, and more collaborative. Mack, and our Board of Directors, has ensured a seamless transition, and a strong future for United Way of the Greater Triangle, by bringing on Eric Guckian. Eric joined the organization in the role of Chief Philanthropy and Business Development Officer on May 8th and will assume the position of President & Chief Executive Officer on July 1st. Welcome Eric! 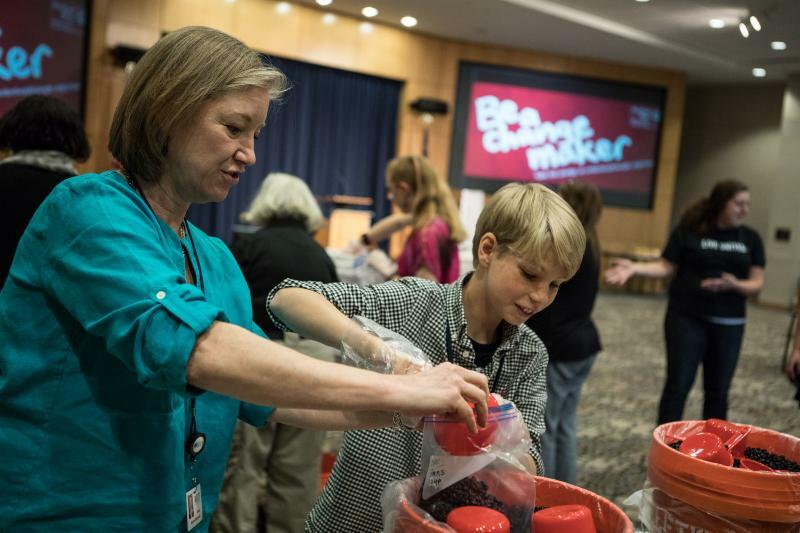 Last month, more than 100 RTI International employees and their children participated in a bring your children to work day event that also served as a way to engage kids in volunteering for their community. 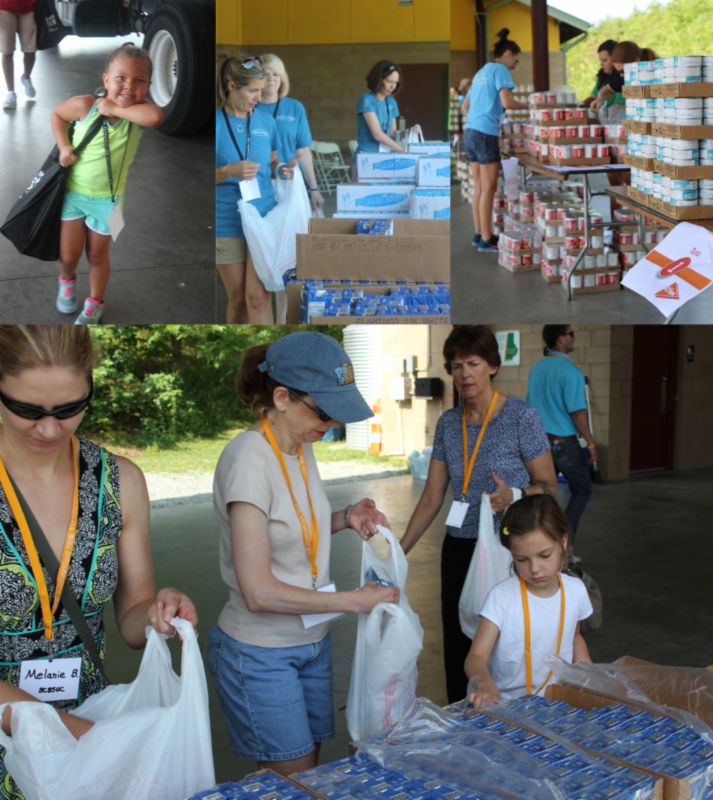 The parent/child groups assembled pantry items to that will feed 350 Triangle families with 1400 meals. They also made blankets and flashcards for kids and families in need. The meal kits were the big hit for both those making them and the families that received them. MDT is a collaboration providing cross-sector response, treatment and prevention for children experiencing abuse, and support for their families. Collaborative partners include SAFEChild, Triangle Family Services, and providers from the child protective services, legal and educational systems. The MDT collaborative recently enhanced their services by adding additional bilingual therapists and the integration of Cognitive Processing Therapy (CPT) for Post-Traumatic Stress Disorder (PTSD) for their clients. In April of this year, this team received national accreditation from the National Children's Alliance. A family's story - Maria (age 7) was experiencing symptoms of anxiety and depression resulting from her victimization and exposure to domestic violence. Her family's private insurance had a large co-pay making it cost prohibitive to access the mental health services she needed. Maria's mom was able to get assistance through the United Way MDT collaborative's funding and now Maria is able to receive the ongoing therapy and support she needs. Additional support was provided to the family by connecting mom to resources for her own mental health needs and through emergency housing resources, after the family was evicted from their home. Now, instead of living in their car, the family has a stable home in which they can heal and thrive. MDT is helping families in crisis move toward healing, greater well-being and stability. Congratulations on a well-deserved accreditation! June 21st is the 10th annual United Way Day of Action. Day of Action is a point in time when we stand together as members of the Triangle community and mobilize the caring power of community to build long-term, sustainable change. Together, we can make a greater impact on the people we serve in Orange, Durham, Wake and Johnston counties. Take action on June 21st to show your support for tackling childhood hunger and summer slide in our area. 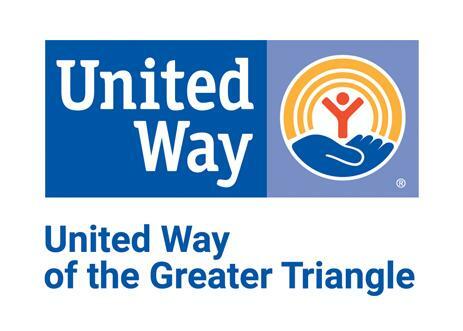 Join United Way of the Greater Triangle to provide weekend meals for 1,500 children. In just two hours, volunteers will pack 1,500 weekend meal kits with enough food for meals throughout the weekend for children at four Durham elementary schools. Meal bag contents meet the guidelines of Inter-Faith Food Shuttle’s Backpack Buddies program, which provides weekend meals to children throughout the school year. Additionally, each bag will contain a new book to help build home libraries for children in our community and combat summer slide. When: Wednesday, June 21, 2017 from 9:30 - 11:30 a.m. Thank you to our Change-Maker sponsor Principal for your support of this event! 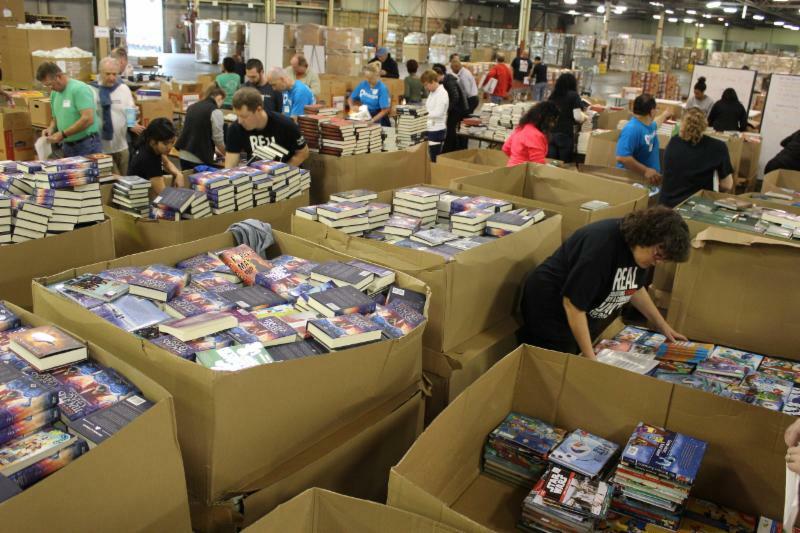 National Volunteer Week = 41,715 Books for Kids! Did you know that r eading proficiency by third grade is the single most important predictor of high school graduation and career success AND 61% of low-income k ids have NO children's books at home? 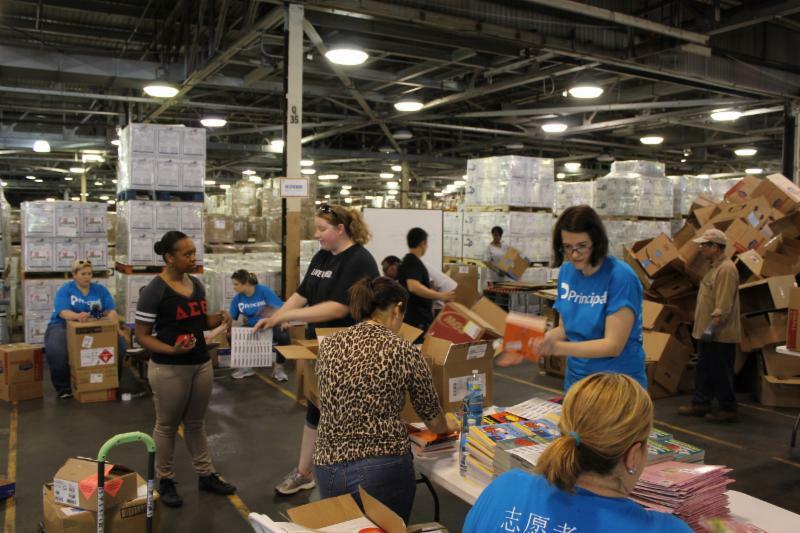 Thanks to the 254 volunteers who gave over 1,000 volunteer hours to provide the Wake Up & Read and Close the Gap collaboratives, as well as 215 teachers, mentors, schools, and community groups 41,715 books that will now make it into the hands, and heads, of children who need them most. Now that's a story with a good ending!